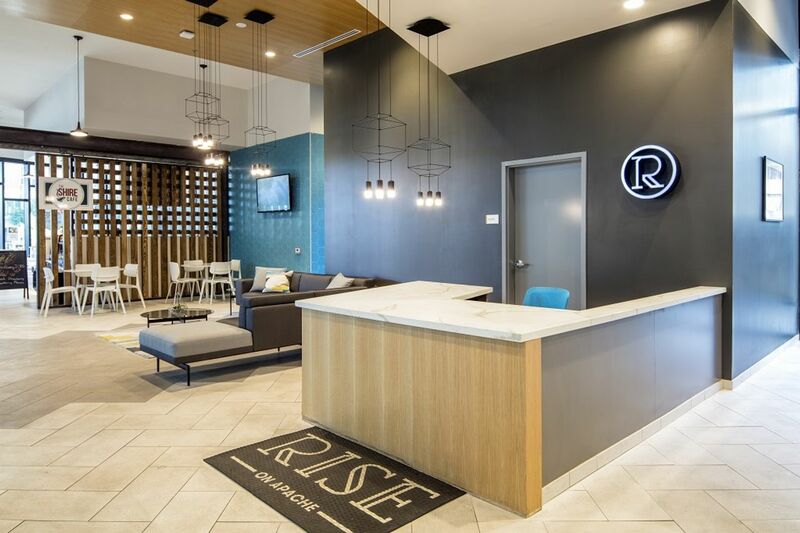 Rise on Apache is a superior student accommodation that takes the student living paradigm up a notch. Living the high life at here means you’ll find yourself just a short walk to the heart of Tempe. All you could ever want as a student is nearby—class, shopping, restaurants. 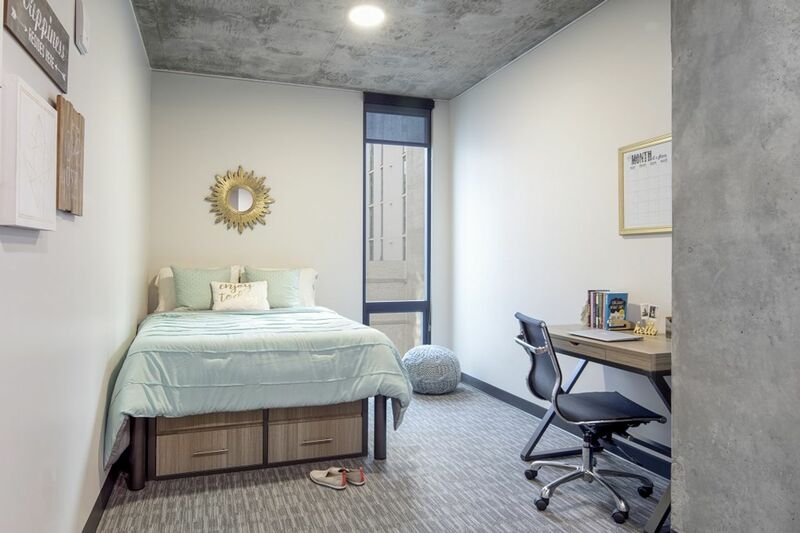 The student living community at Rise on Apache is considered off-campus housing, just 18-minute walk from the Arizona State University campus. You can also reach to University of Advancing Technology or University of Phoenix around 30 minutes by public transports. 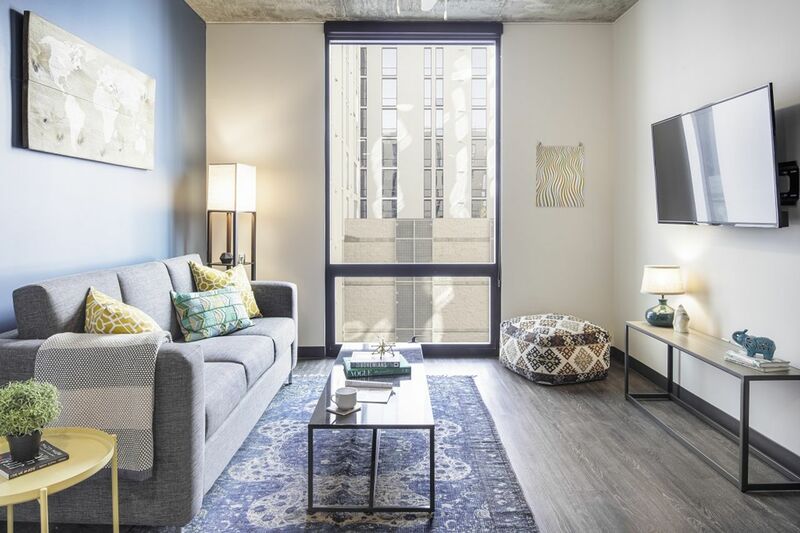 Rise on Apache offers a variety of floor plan options from studio apartments all the way up to apartments with four bedrooms for those who want community living. Refine your lifestyle in one of classic student apartments complete with modern features to give you the highest level of satisfaction. Bedrooms come furnished with memory foam mattresses, their own designer bathroom, and walk-in closets. Kitchens are finished with quartz countertops and hardwood style flooring. Besides, rooms come with in-unit washers and dryers, high-speed internet, and more. Units are individually crafted for sophisticated student life. Moving into Rise, students are greeted by a team of friendly, accommodating professionals. Residents have on-site management at their fingertips, and they have access to 24-hour emergency maintenance. Community’s amenities such as rocking climbing wall, high speed gamer lounge, rooftop deck oasis and running track make everyday life a little more lavish. Your experience in Rise on Apache will rise above your expectations. Wir haben leider keine Unterkunft gefunden, die deinen Wünschen entspricht.Alle Privatzimmer in Rise on Apache ansehen. Wir haben leider keine Unterkunft gefunden, die deinen Wünschen entspricht.Alle Ganze Wohnung in Rise on Apache ansehen.